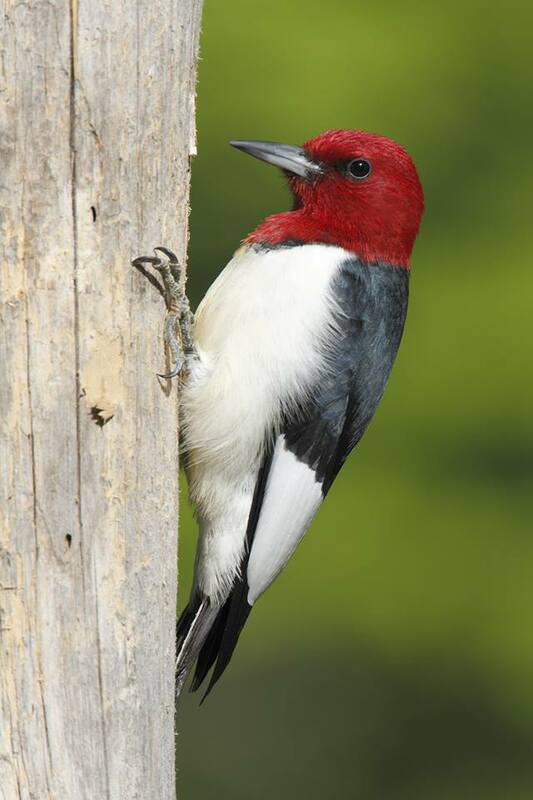 The Red-headed Woodpecker (Melanerpes erythrocephalus) AKA “Woody Woodpecker”, is a small or medium-sized woodpecker from temperate North America. Their breeding habitat is open country across southern Canada and the eastern–central United States. In 1996, the United States Postal Service issued a 2-cent postage stamp depicting a perched Red-headed Woodpecker. The stamp was discontinued at some time thereafter, but re-issued in 1999 and remained available for purchase until 2006.